Hey Spain, We are watching that you still hurt Catalan people. This is not a joke. We will hurt your Government too. This is a type of protest. We will not stop! We will use the #OpCatalunya hashtag in every attack. 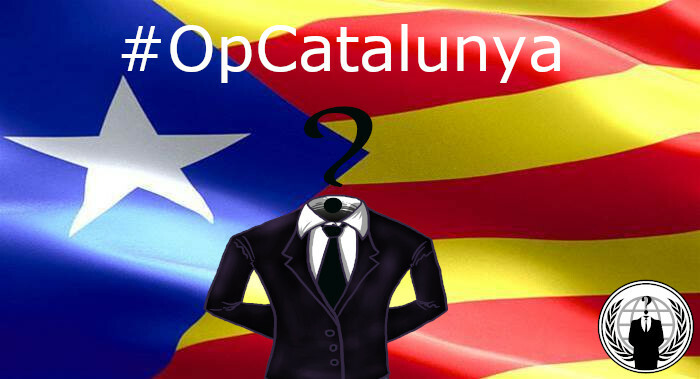 This is the 2018 #OpCatalunya Anonymous Operation. Join us and Shut Down the government! At the beginning of October 2017, citizens of Catalonia – an autonomous community in Spain held an independence referendum. This call for independence created a conflict between the Catalan leadership and Spanish government and increased law enforcement presence in Catalonia. As a result, the hacktivist group Anonymous has launched a series of cyber-attacks against Spanish institutions in protest. The Anonymous operation has already seen two waves of attacks with a third lingering as Spanish authorities impose direct rule on Catalonia using Article 155 of the Spanish Constitution. More is expected as the government convoke new elections to the Parliament of Catalonia on December 21 of this year.